Right now, you can pay with cash, debit card, credit card, PayPal, Google Pay, Apple Pay, or even Dogecoin. You can pay with a tap, click, and even your phone. Now, Alibaba wants you to pay with a smile. Chinese payment systems are already ahead of most of the rest of the world with secure systems like WePay and AliPay. Alibaba’s affiliate, Ant Financial, wants to build on those successes. It is eliminating the need to bring your phone and instead using only facial recognition. Like the idea of paying with your face? Here’s what Ant Financial envisions and how it could transform e-commerce. In early 2018, Ant Financial, an Alibaba affiliate, began trialing a system it calls Smile to Pay at KFC restaurants in the company’s hometown of Hangzhou, China. Paying with your face works simply. Customers who already have the Alipay app on their smartphone can now enable the facial recognition technology for the app. With the technology enabled, they can then go into merchants that offer Smile to Pay and pay seamlessly. Customers then place their order on the screen and look towards a 3D camera installed in the POS. The camera scans the customers face to verify their identity and then deducts the payment using Alipay. If they want, the customer can also use a phone number verification options as an extra security measure. Alibaba’s smile to pay technology is interwoven in its goal to integrate best-loved elements of online and offline shopping. The firm also opened a cash-less store in 2018. It also operates app-driven neighborhood stores in Shanghai. The program fits neatly into the strategy already in place and gives it a keen advantage to its primary competitor: WeChat pay, a payment method built into China’s largest social media site. The technology hit the market only this year and it is the first of this kind. Alibaba announced a beta version at CEBIT in 2015, and it demoed the full product at CES in January 2018. But will it shake e-commerce elsewhere in the world? After all, Chinese users were already primed for payment because of the popularity of the all-encompassing WeChat app. WeChat has no similar rival in the United States or Europe. Ant Financial says it only released the product once the technology mastered both accuracy and security to prevent spoofing and fraud. The phone number backstop also puts customers at ease. Alipay also offers loss coverage in the case of theft. Ant Financial and Alipay’s work is new in the field of payments. However, part of its success lies in the existing use of facial recognition in China. Facial recognition is already in use by both the government and citizens. As a result, the market is already familiar with its applications and benefits. The Chinese government already uses facial recognition in the country’s surveillance camera network. Police use it, too. Police in China recently arrested people at a beer festival using facial scanners. In Beijing, face scanners stop people in a public toilet from stealing toilet paper. All this makes early adoption easier from a regulatory and customer experience standpoint. The futuristic technology appeals to customers and other uses of it have long been in use with mobile phones. Still, it’s unclear how quickly it will take off among Western tech firms. Companies like Google, who offer Google Pay and the Google Wallet, tried out similar ventures in the realm of facial recognition. Google ultimately scrapped one project that would allow Android users to take a picture of a person’s face to identify them. Privacy concerns in the United States and the EU could thwart attempts by tech companies to launch something similar. Still, firms will need to step up their game as consumers expect a more seamless and secure transaction. Amazon is already on the ball. It could become the most likely leader in facial recognition for e-commerce. But, Amazon’s likely use could be an added security step rather than removing another step. The goal of Smile to Pay is to simplify the payment process – not add another layer. Still, the use of facial recognition could benefit Amazon. We live in a world where people remain somewhat in charge of what they add to their customer profiles. The software would demand that users take off their masks. It’s possible Amazon could use facial recognition as a tool for customer profiling. Since Amazon is willing to bleed hundreds of millions to stomp on its competition, there’s no reason to believe it wouldn’t risk more abandoned carts with an extra layer of data in exchange for more data. Even with these challenges, Amazon could still change the game in e-commerce. People love Amazon regardless of what the company does with their data, and consumers are now more open to tracking than they once were. If Amazon were to adopt it, it’s likely other major e-commerce retailers would need to follow suit. Mom-and-pop shops that don’t worry too much about Amazon may not need to worry, but drop shipping businesses aiming to compete with groups like Alibaba should remain alert. 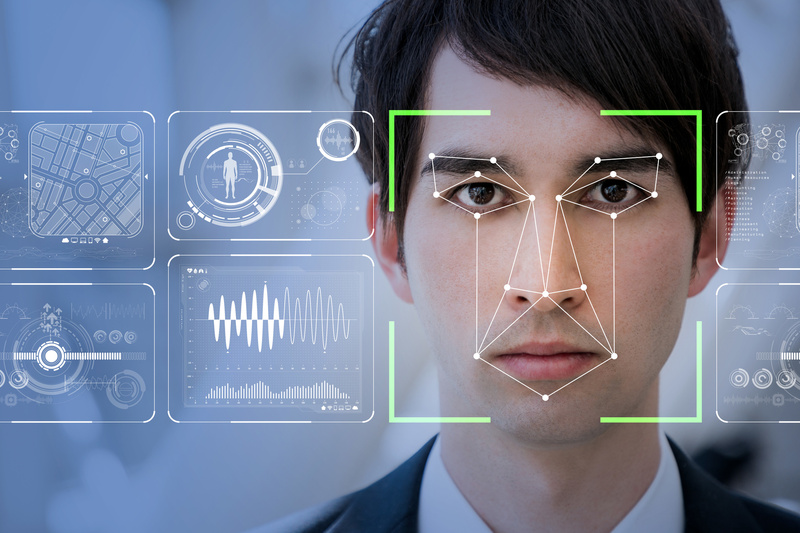 Facial recognition presents retailers with even more valuable data, and it has the potential to remove shopping cart barriers to increase sales. The combination of the two suggests that e-commerce giants like Amazon are willing to suffer the teething problems to bring out this technology particularly given that Chinese firms are confident enough to roll out their version. Will you be paying with your face in the next six months? Likely not. But when it happens, it will start a revolution that will be hard to contain. From dropshipping to payments, China is light years ahead of the West regarding e-commerce, and both governmental and corporate policies continue to expedite products like Smile to Pay. Paying with your face is on its way to retailers like Amazon. It’s not unrealistic to believe that other retailers should start making plans to roll out the technology. Smile to Pay isn’t a gimmick; it offers real benefits to e-commerce stores both regarding data mining and increased revenue. Stay always on top of your e-commerce business and stay ahead of the competition with Yakkyofy. Imagine it: Your face equals payment. Discover how facial recognition is changing e-commerce and if paying with your face will be a standard in the future.